The Polaroid 300 Film is pretty much just a re-hashed version of the Fuji Instax Mini. Fujifilm had always had an eye on the American market, just like their American rival Kodak had their eye on the Japanese market. However, while Fuji managed to make presence in the States, Kodak did not meet with a matching success in Japan. After being sued by Polaroid for copyright infringement in 1981, Kodak pretty much backed out from the instant camera market, leaving the playing field to Polaroid’s and Fuji’s Instax cameras. The only catch was that Fuji was co-working on a project with Polaroid, which prevented them from penetrating the American market. However, with Polaroid withdrawing from the niche in 2008, Fuji was free to re-brand their Instax system and conquer the market fully. The bottom line is that you can use the Polaroid 300 in your Instax Mini, and vice versa, but keep in mind that Polaroid has never made the Polaroid 300 – that would be Fuji. They did white-label and sell the Instax Mini 7S and Instax Mini as Polaroid 300 and Polaroid 300 Film, respectively. In other words, if you own a Polaroid PIC-300 camera (one that still functions properly), and are looking for a cheap choice for the film, feel free to use either the Fuji Instax Mini or the Polaroid 300 Film, whichever comes cheaper. The only thing you’ll have to keep in mind is that both the instant cameras and the film made by Polaroid have long been discontinued (nine years as of this writing), so whatever’s left on the market might already be expired. On the flipside, some retailers might be looking to unload their current stock, so they’ll offer some nice discounts. Still, the Polaroid products are as a rule more expensive than Fuji’s, so if you don’t find a store offering a discount, it’s better that you go with Fuji. Instax Mini Film or Polaroid 300? There are still lots of people who use a Polaroid 300 camera, and if you’re one of them, you’re probably worried about using the Fuji’s Instax Mini Film in your device. Rest assured that there’s not a single thing to fret about. 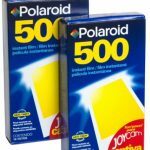 In fact, it is much more cost-effective, seeing as Polaroid 300 films have been long ago discontinued, and the freshest ones are “only” about seven to eight years old, as of this writing. On the other hand, the Fuji Instax films are still being produced, and you can find them cheaper. If you factor in that the Instax Mini comes not only with the standard plain white borders, but also with various thematic borders on it, the bang for the buck becomes even better. On a similar note, the new Z(ero)ink photo paper by Polaroid is not compatible with the 300 Type cameras, despite its being quite similar to the Instax Mini. There are slight differences in the design of the plastic cartridges, which combine to make them dissimilar enough so that they can’t be used interchangeably. 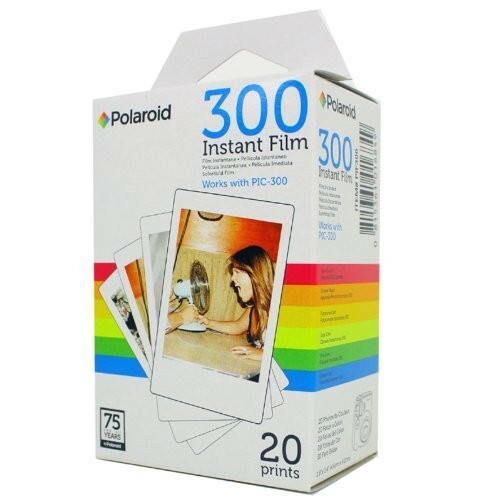 It’s commonly believed that Polaroid tried to reverse-engineer Fuji’s Instant-photo paper tech in order to make their own packs of instant films. The only thing different appears to be the design of the plastic casings that hold the paper. The Fuji Instax Mini should cost about $20 for a Twin Pack on Amazon, including the free shipping. Conversely, the Polaroid300 Film should be about $30 for a Single Pack. 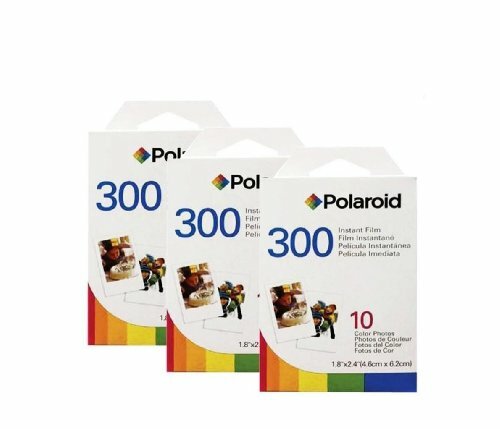 At the same time, the price over on Polaroid’s official website is $14.99 for a pack of 10, meaning that a Twin Pack should be just shy of $30. Although, they didn’t have anything to say about shipping, so there’s a chance that they charge it. The Mio Cameras were a joint-venture by both Polaroid and Fuji, based on the design of the Instax Mini 10/20, until the line was discontinued after a few years. If you still own one, feel free to use either the Polaroid 300 instant film or Fuji Mini film for your camera, as it shares the design with the Instax Mini 20. Just to be sure, get a Single Pack (10 pieces) of the Instax Mini and try it out. It’ll only cost about $15, and you’ll know where you’re standing in that regard. In case you want to decommission your old Polaroid 300 camera and get something new, there are a few things to keep in mind. 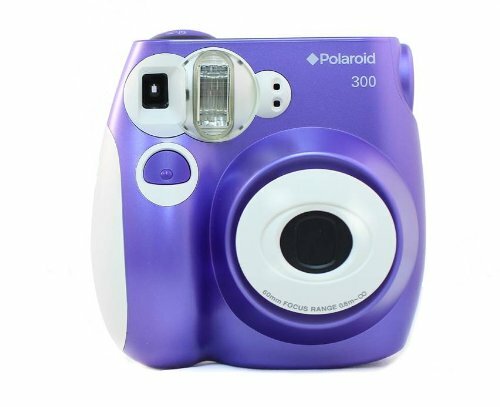 For a start, if you want an instant camera, you’ll have no luck with Polaroid, seeing as they only produce digital cameras these days. For an instant photo camera in analog variety, you’ll need to look to Fujifilm. On the flipside, if you insist on a Polaroid camera, check out the budget-friendly Polaroid Z340, Polaroid Snap, or Polaroid Socialmatic. 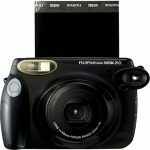 However, if you’re after a cheap instant camera specifically, but not necessarily a Polaroid, you might want to take a look at the Fuji’s recent camera series such as the Instax Mini 70, the Mini 90, the Mini 8 or the larger Instax 300. As an aside, there’s a cute kids’ model, the Fuji Instax Hello Kitty mini cam, if you want to keep the kids busy.